Home is where the heart is as they say and it is really very true for me. 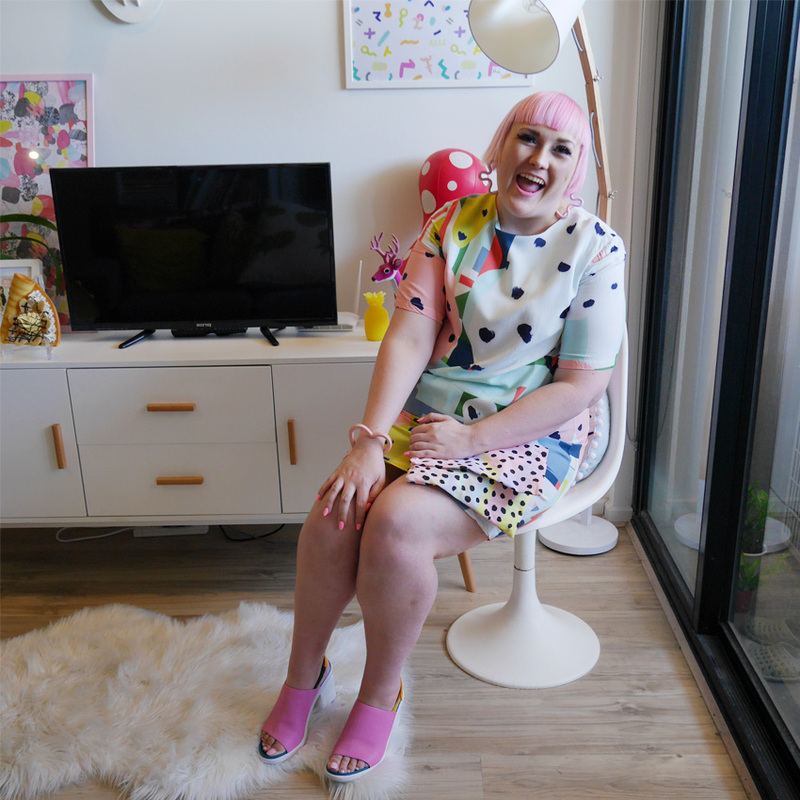 I love my little apartment with all it's fun, cute and bright nicknacks that I have collected from around the world. I love being able to decorate as I want now that I am single which means my home looks exactly like my wardrobe - bright and colourful with a hell of a lot of pink! 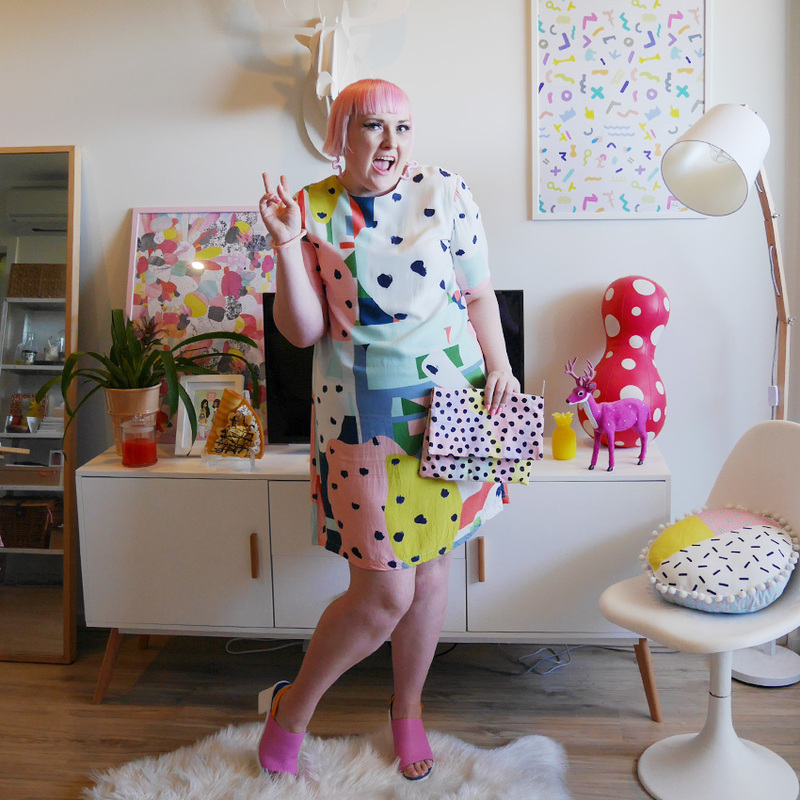 This dress by Seagrass Design immediately caught my eye with its pop art inspired print and as soon as I put it on inside my lounge room I knew I wanted to shoot the outfit right there - it just matched so very perfectly. 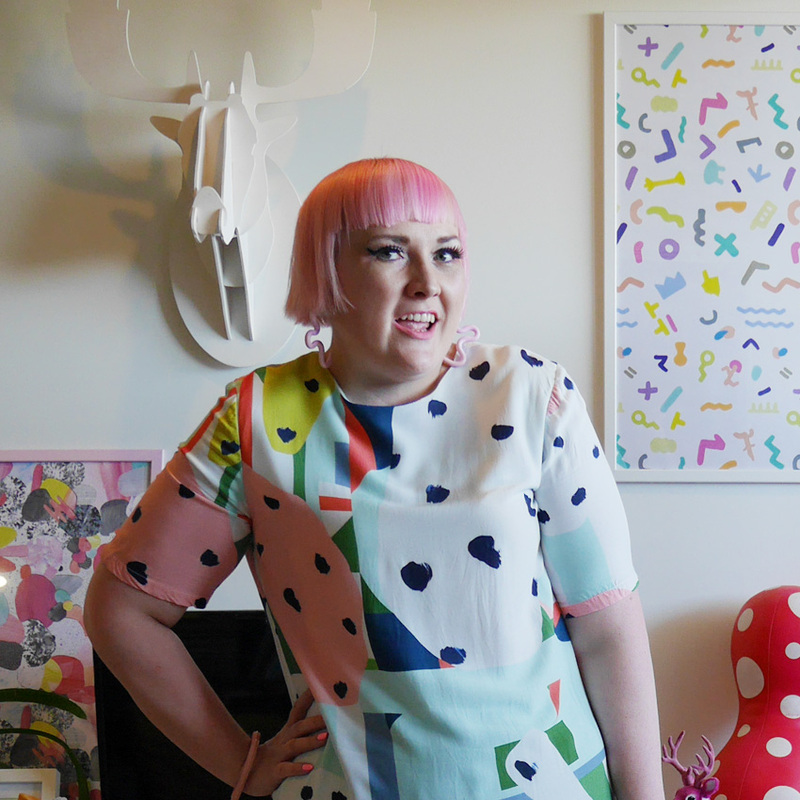 Seagrass Design are a Launceston design duo who not only do amazing original prints and manufacture everything locally in Tasmania but heir clothes also go up to a size 18 off the rack or they can custom make your size if you need! 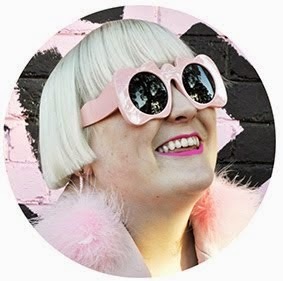 That is absolutely amazing news for all my fashion loving plus size readers as I know how hard it is to find unique and stylish clothes in size fat. The fabric is a wonderfully soft rayon that doesn't cling to you at all and the quality of the garment really impresses me, it feels like it will last hundreds of wears. I am very excited to find a new innovative label coming from the Apple Isle, especially as they have a physical store to visit in Launceston which is very close to where my mum now lives - I can't wait to pay them a visit on my next trip down! Retro chair Found for $35 at my local Vinnies! 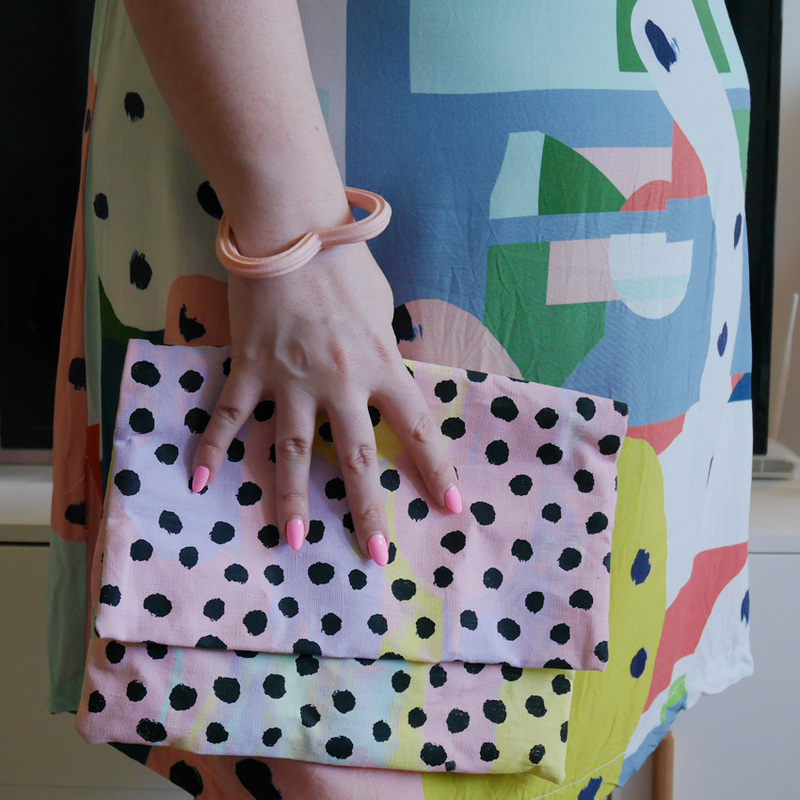 This clutch is another locally made piece this time by Melbourne design studio Homework who have a fabulous studio in Brunswick. I am all about supporting locally made and designed as much as possible. Yeah these continue to be my go to heels for all occasions.